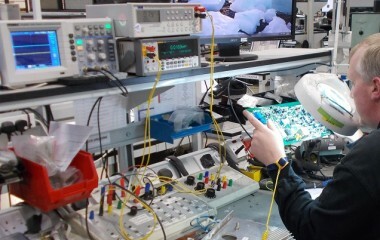 Our qualified and experienced team of test technicians work from component to PCB level on a wide range of bespoke and customer products using the latest test and calibration equipment ensuring high quality products with extended reliability rates. All our technicians are trained and undergo continuous training as is our company policy. We boast engineering expertise in both hardware and software design for a wide range of product lines employing classic and modern technologies and programming languages.